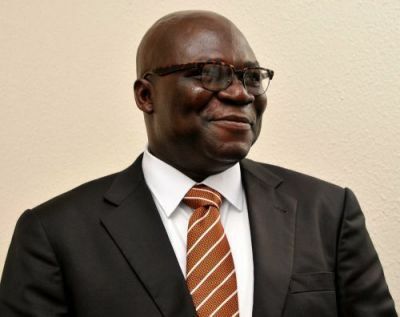 Dr Reuben Abati is in the race to become the next deputy governor of Ogun State as a faction in Ogun PDP presents his name. The Senator Representing Ogun East Senatorial district, Senator Buruji Kashamu-led faction has announced the former Presidential spokesman, Dr Reuben Abati as the running mate of the governorship candidate of the Peoples Democratic Party in Ogun State, Leke Shittu, ahead of 2019 elections. 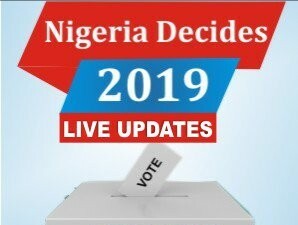 Sen. Buruji Kashamu's faction which has been recognized by the Independent National Electoral Commission (INEC) in the state also named former governor of the state, Otunba Gbenga Daniel as the candidate for Ogun East Senatorial. It would be recalled that the INEC had notified the the PDP of its decision to accept the candidates’ list of the PDP faction backed by Kashamu. The INEC had in a letter addressed to the National Chairman of PDP, Uche Secondus, notified the party of the acceptance of the list submitted by Bayo Dayo’s faction following the Federal High court judgements, directing the umpire to accept the candidates as against that of Sikirullahi Ogundele-led faction which is recognised by the PDD national leadership. In a statement personally signed by Kashamu, a copy of which was made available to newsmen in Abeokuta on Wednesday, by his media aide, Austin Oniyokor faulted the statement credited to the National Publicity Secretary of the party, Kola Ologbondiyan that INEC acted contravening the rule that only the chairman can submit candidates list to INEC. The statement read “The candidates list of the Kashamu backed Bayo Dayo exco of Ogun PDP has been received and fully acknowledged by INEC for the 2019 elections. Prince Leke Shitu and Dr Rueben Abati were duly acknowledged as the Ogun PDP Governorship and Deputy Governorship candidates respectively (acknowledgement receipts attached).